Weekly coal carloads originated by US railroads jumped 4.6% on a year-over-year basis in the week ended May 24, as both BNSF Railway and CSX showed strong gains in weekly coal deliveries, according to data from the Association of American Railroad released Thursday. AAR said Thursday that US railroads originated 112,672 carloads for the week, up 1.9% from the prior week. The increase also halted an eight-week slide in weekly volumes. A pick-up in coal carloads is needed if US utilities hope to rebuild their generally depleted coal stockpiles in time for the summer burn. 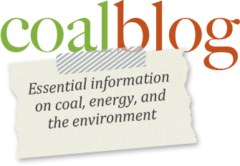 For the year, the AAR reports US coal carloads total more than 2.3 million, up 1.5% from 2013.